Grammy-nominated gospel music artist Anthony Brown is well-known for his exploits alongside his famed backup crew dubbed ‘group therAPy’. Having established himself as a reputable songwriter from a relatively young age, Brown took the gospel music scene by storm in 2012 with the release of his hit debut album Anthony Brown & Group TherAPy. He has maintained a steady progression ever since with the release of other more successful albums and for which he has received much critical acclaim. Among numerous accolades, Anthony Brown picked up his first Grammy nomination for Best Gospel Song in 2015. Anthony Jamar Brown was born on October 22, 1981, in Baltimore, Maryland. He definitely had his destiny laid out right from birth as his father is a musician and a pastor and his mother is equally a songstress. Expectedly, he took interest in music from the tender age of 3 and by elementary school, he had already started penning and singing his own songs. He had his high school education at Baltimore School for the Arts where he studied classical music and other art forms. He had his college education at Morgan State University and there, he formed his first music group “Answered Prayers” in 2000. Brown, alongside other members of the group, honed their talents by performing at several programs for which they gained some measure of popularity in their local community. He also perfected his songwriting skills in the process, as a result of which he got to work with some bigwigs of the music industry. Among his foremost achievements is the former Billboard No. 1 hit “It Ain’t Over” which he wrote for Maurette Brown-Clark and that song officially shot him into the league of prolific songwriters. Anthony Brown eventually dropped out of college after 4 years to go into a full-time music career. Initially, he worked in the background, either as a producer or writer and among his clients were Myron Butler, Donald Lawrence, Brown-Clark and several others. He also served as the Assistant Minister of Music at his home church First Baptist Church of Glen Arden. His 10-man backup crew “Group TherApy” is an offshoot of his college band with the addition of a few new members. 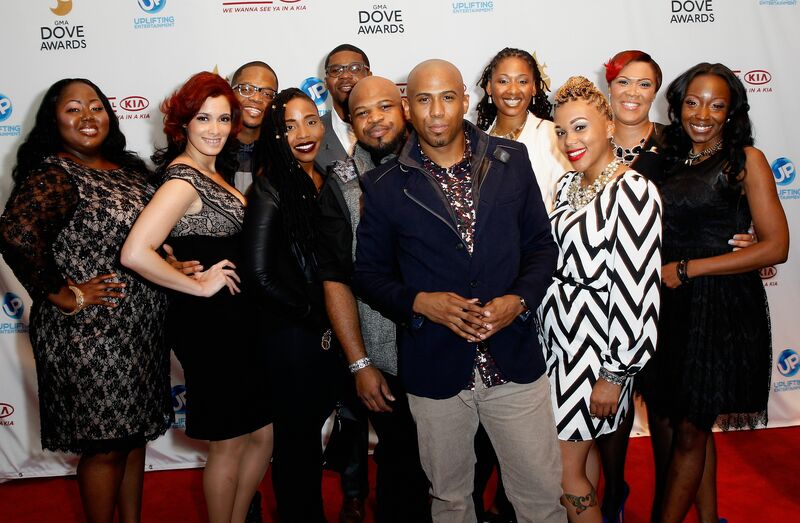 The group performed at 3 editions of the annual gospel music fest ‘Celebration of Gospel’ on the BET network. Brown’s eponymous debut album Anthony Brown & Group TherApy was released in 2012 under Tyscot Records. Among other collaborators, the album featured contributions from VaShawn Mitchell and Maurette Brown Clark. The album’s smash hit “Testimony” helped propel the singer and his crew onto the gospel music map. It also earned him 2 Stellar Awards out of 11 total nominations and he was also nominated for a Dove Award. In 2015, the multi-talented music star surpassed the success of his debut album with the release of his sophomore album Everyday Jesus. The album proved to be a mega commercial success and it equally earned him numerous accolades. The album’s lead single “Worth” spent an astonishing 26 weeks at the top of the Billboard Gospel Airplay chart. Brown received his first Grammy Award nomination for Best Gospel Performance/Song, 3 Billboard Music Award nominations as well as a BET Award nomination. He also won 2 Dove Awards and an unprecedented 10 awards out of 10 nominations at the 2016 Stellar Gospel Music Awards. In July 2017, Anthony Brown took his profile a notch higher with the release of his third studio album A Long Way From Sunday which debuted at No.1 on the Billboard Top Gospel Albums Chart. The multitalented music star has proved to be the complete package when it comes to gospel music, thanks to his unique vocals, superior songwriting and music production abilities. Unlike his flourishing music career, Anthony Brown maintains a pretty low profile in terms of his private life. He is known to be married but the identity of his significant other is not well known. It is believed in some quarters that his wife is a member of his backup group but these reports have not been confirmed. It is also unclear if the couple has children as other details about the gospel singer’s private life are kept under wraps. Anthony Brown has remained relevant in the music industry for a long time, owing to the multifaceted nature of his talents. He has equally achieved tremendous commercial success since releasing his debut album in 2012. The multitalented gospel artist also has his own clothing line ‘Mercy Life + Apparel’, among other bankable ventures. However, his exact net worth is currently unverified.